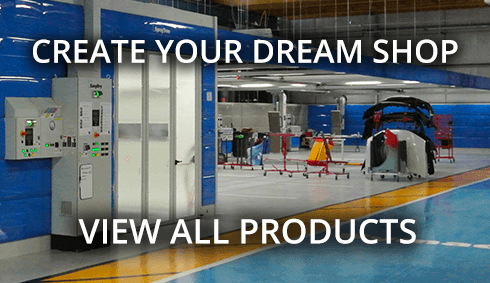 product away each month until Sema 2019! The latest trends in the auto body industry. "THE SHOP CLASSES OF OUR YOUTH ARE BEING ELIMINATED. WE NEED TO WORK TOGETHER TO GROW AND SUPPORT THE NEXT GENERATION OF AUTO BODY LEADERS"
Sign up to become a part of the Innovative Community and receive exclusive specials. THANK YOU FOR VISITING US AT SEMA! In 1996 I was literally over a barrel. For over 21 years I was using trash barrels for painting, baking, and curing plastic bumpers and the results were often trash; uneven paint coverage, unpredictable texture and distorted shape. There had to be a better way, and I created it: The SuperStand. 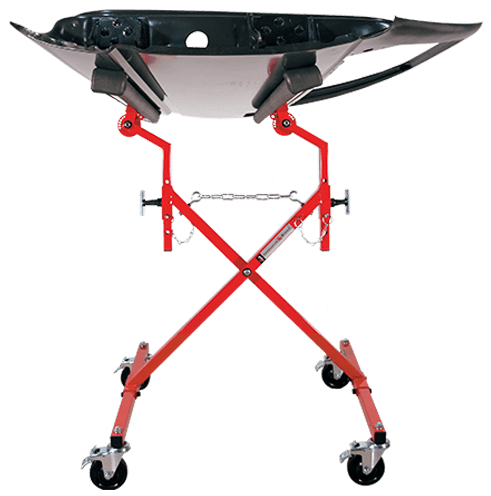 Not only did the SuperStand take bumper quality to the next level, it saved at least half an hour of labor per bumper, paying for itself in less than one month. Detailed Image Interviews Our Very Own Jason Cox! Changing Body Shops, Every Day! Meet & Greet these Auto Body Legends. Don’t Miss your Chance! Charley Hutton’s Color Studio Recommends Innovative Tools & Technologies, Inc. Turn Off Your Booth Lights To See What You’ve Been Missing!